Easy Transport and Storage. Each Tactical Solar Panel consists of multiple mini cells connected in a foldable design for optimal convenience. Easily stored in a backpacks, clothing pockets, or briefcases. Simply unfold in the sun and attach the power connection and Tactical Solar Panel immediately starts to provide power. 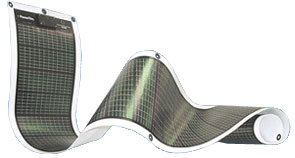 Unique flexible substrate combined with tough tear and rip resistant nylon material creates robust a solar panel. Having holes cut, punctured, or shot through the solar cells reduces the surface area available to charge, but the unit can continue to operate. 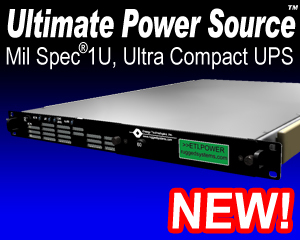 Effective power generation without noisy moving parts to draw attention. ETI's Solar Panels can be parallel and/or series connected for increased output wattage or voltage configurations. Create the configuration needed for your application. ETI's Tactical Solar Panels operate from -40°C to 80°C temperature range, and are less impacted by temperature extremes than other types of solar panels. Multilayer construction seals out the environment for lasting operation and protection. Tactical Solar Panels continue to power under overcast skies. When connected to batteries, the surplus stored energy can be used at nighttime. The Solar Panels can be used as thermal shading blankets to keeps batteries cooler during daytime charging. Grommets allow the panel to be tied down to hood, roof, tents, etc.